Why do we celebrate Presidents Day? Make the Monday off a lesson in American history. That’s what Presidents Day on February 18 is all about. Simple. But the history and timing of the day offering a break from school for many kids is a bit more complicated. Officially the U.S. federal holiday’s name is Washington’s Birthday, established in the late 1800s to mark contributions of the first American president on his birthday, Feb. 22. The day later expanded to honor Abraham Lincoln, who was born on Feb. 12. This long weekend, make the most of the day’s significance. “The meaning and value of ... Presidents Day is often lost in the shuffle of just a day off or sales at stores,” Seattle presidential historian and blogger Mike Purdy, who writes presidentialhistory.com, told TODAY Parents. The following activities offer age-appropriate, kid-friendly ways to check out presidential history. Printable coloring pages of presidents at crayola.com and education.com enable budding young artists and historians to create their own at-home gallery. Make some space on the fridge, moms and dads. Kids enjoy reading stories about other kids — and every U.S. president was a child once. 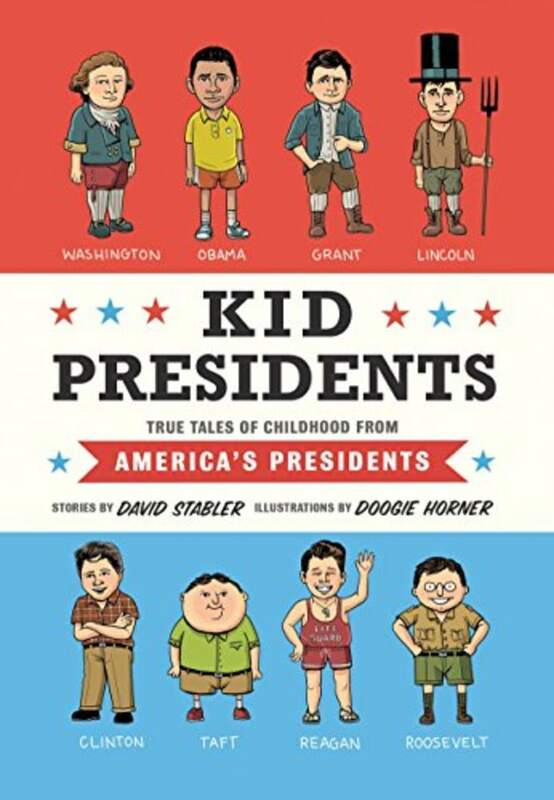 “Kid Presidents: True Tales of Childhood from America’s Presidents” blends breezy text and fun illustrations as it connects that past with the present. “The life of someone who lived in the 19th Century can seem very distant to a 10-year-old in 2019,” Brooklyn writer Robert Schnakenberg, whose kids books alias is David Stabler, told TODAY. “But if you identify common experiences: going to school, dealing with bullies, getting along with your family, and so on, it makes it more relatable.” Check your local library or get his book on Amazon. Even kids with short attention spans can expand White House knowledge thanks to PBS and Learning Media’s “60-Second Presidents” series. In just about a minute, the pint-sized bios turn clever narration, sly pop-ups and goofy graphics into a quick-fire histories — successes and scandals, major accomplishments and minutiae of commanders in chief. Who’s who? Online sources and virtual tours offer insights. “The American Presidency: A Glorious Burden,” a permanent exhibit at the Smithsonian’s National Museum of American History, showcases Oval Office occupants along with information on their era and personal effects. The Miller Center at the University of Virginia and the American Presidency Project at the University of California are “two sites that do a great job of pulling together comprehensive information about the presidents,” added Purdy.